This NEW IN THE BOX 9mm cal. or .40 S&W. 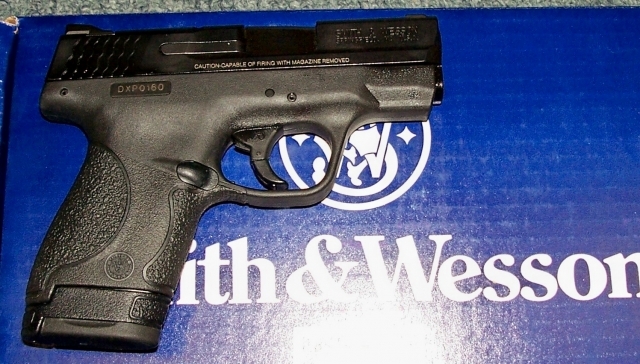 Smith & Wesson M&P Shield is Smiths newest semi-auto. Comes with two mags. $405.00 plus $30.00 shipping and insurance. rmgrigoletto@yahoo.com 732 280 8750.